Walk-in Shower that is Wheelchair Accessible. Complete with a River Stone Shower Bed that massages your feet. 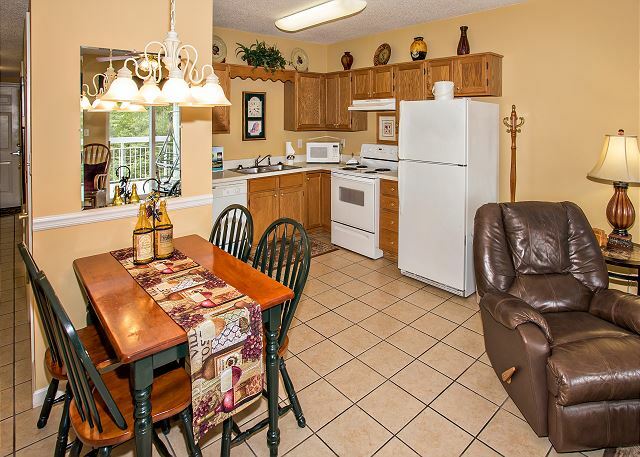 The perfect blend of charming and comfortable describes Pigeon Forge, TN’s Whispering Pines Condo Unit 101 to a T! And you might as well throw in another “C” – Convenient!! You may park directly in front of the unit, and there are no steps or elevators to wrestle with! When you open the front door, you will indeed feel quite at home as you are greeted with a beautifully tiled, spacious, open floor plan! Kick back in the leather recliner and click on the wide screen HDTV. Year round we offer free WiFi, a fully furnished, fully equipped modern kitchen, wheelchair accessible walk-in shower and a washer and dryer. 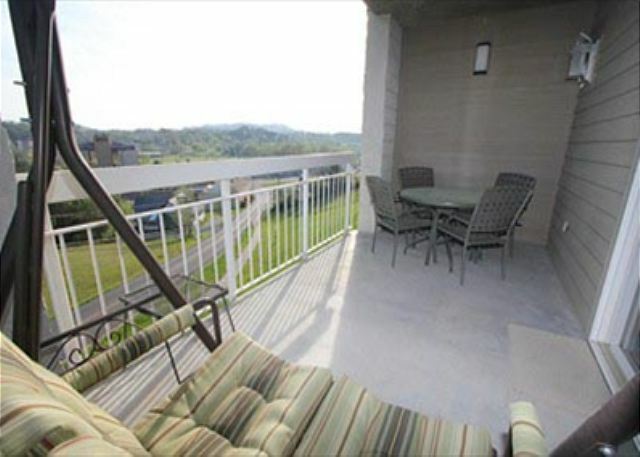 Or sit on the private, over sized balcony on the wonderful porch swing and swing your cares away as you take in the Pigeon Forge city and Great Smoky Mountain views! And what would “charming and comfortable” be without a king bed and Jacuzzi tub? And for those cool nights, there is a seasonal gas fireplace! 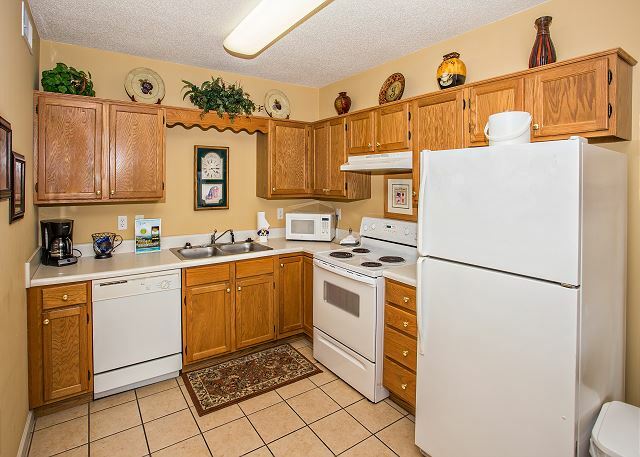 Whispering Pines Condominium Property Amenities include: Corn hole, Sauna, Fitness Room, Indoor Pool, Indoor Hot Tub, Seasonal Outdoor Pool & Hot Tub, Seasonal Outdoor Lazy River & BBQ Grills under a Pavilion. Thank you for staying with us at Whispering Pines. We hope that you were able to rest and relax while visiting with us. We appreciate your review and hope to see you again soon. have stayed at WP several times... always a great experience...the ladies in the office are super helpful and kind! Thank you for your review, Olivia! We're glad you were able to add another excellent stay at Whispering Pines to your list. We truly appreciate you and your kind comments regarding our staff, we're blessed to have such a wonderful team. We look forward to your return! We loved our Thanksgiving get away an we always enjoy stayin here enjoy the indoor pool an love the hot tub. The staff are ALWAYS SO KIND TO US. What a wonderful vacation in the Smokies! Thank you for staying with us at Whispering Pines. We are so happy you had a fantastic Thanksgiving stay with your loved ones. We look forward to seeing you again soon! It was very relaxing. We really enjoyed the room and our child has a blast. we loved the view. Wonderful experience. 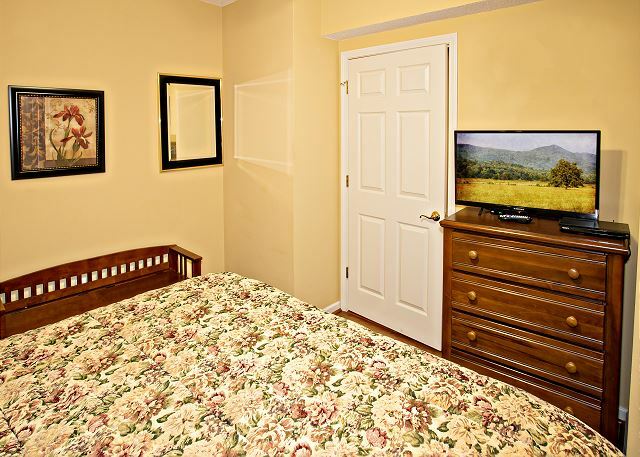 The room was very clean and it felt like "home"
Thank you so much for staying with us at Whispering Pines! We're happy to hear that it felt like you were at your "home away from home" while vacationing in city view condo 101. We're so glad that you all had a blast and that your experience was a pleasant one. We appreciate you and your recommendation and we welcome you to stay with us again the next time you're visiting beautiful Pigeon Forge! Had very pleasant experience on all levels. Our condo had an excellent location, no steps or elevator needed. Was close to the parkway and attractions. Everything was clean and comfortable. Staff were very helpful. Enjoyed using the free admission tickets. To summarize, would love to stay here again! What an excellent review and comments! We are very appreciative, glad that you took advantage of the free tickets, and look forward to your return visits. We had a wonderful time. The condo was cozy. We had the massage company come out also and that was also awesome came right to our condo. The only thing I’d change is to have carpet lol but I love carpet! Very nice place to stay! Happy Belated Anniversary and many more! We are glad that you had a wonderful anniversary celebration at Whispering Pines Condos in Pigeon Forge. When you call to book with us again, you may request a condo that has carpet in the unit; we will be happy to book it for you if any are available. We love to come to Whispering Pines. We have been here 4 times and plan to come again, to the same condo. 101 is our favorite!!!! We are glad that you had a GREAT vacation and appreciate your patronage to your favorite unit. We look forward to your return visits. We arrived the condo to find it clean and fresh. We enjoyed our stay and look forward to staying there again. Thank you so much for staying with us at Whispering Pines! We are thrilled to hear that you enjoyed your stay and we truly appreciate you and the kind comments regarding the cleanliness of the condo. 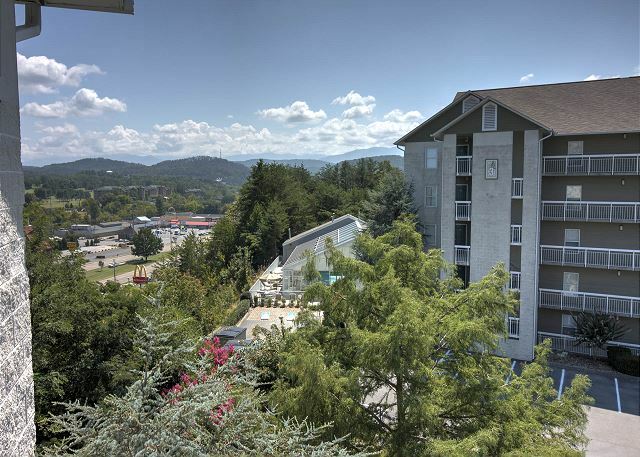 We welcome you to stay with us again the next time you're visiting beautiful Pigeon Forge! Thank you so much for choosing Whispering Pines for your lodging needs while visiting Pigeon Forge! We are very grateful you spent and enjoyed a little bit of your summer here with us. We welcome you back for more wonderful stays, because we're looking forward to it! Thank you for staying with us at Whispering Pines! We truly appreciate your loyalty and business. We welcome you back to stay with us again soon! We loved that is was nice and clean with easy access from the parking lot. Large balcony with table and chair providing a city view. Overall excellent place with a great staff and accommodations. We enjoyed our stay so much we will be returning in the fall. Thank you so much for staying with us at Whispering Pines! It is music to our ears to hear that you enjoyed your stay with us so much. We truly appreciate your kind words about our property and staff! You are now a part of the Whispering Pines family and we can't wait to have you stay with us again. We look forward to your visit in the fall and hopefully many, many more in the future! Good location, clean, nice indoor pool,and easy to register. We agree with you; Whispering Pines Condos is a great place to stay! We appreciate your review and comments. Hope to see you again, soon. We had a very nice time there and the room was very pretty and did up so cute for Christmas!Very clean room! Wonderful! Thank you for staying with us and we are so happy you all enjoyed a little Christmas Cheer while you were here! We hope you can come back and see us again soon! Thank you for vacationing with us, so glad you all had a wonderful time. Please come back and see us again! Our experience was excellent in every way. It has been quite awhile since we were able to get away and just relax so we hoped that everything would go well and it did. The unit was great, the staff was very hospitable and helpful, the location was close to what we needed and we plan to return again. It made our Thanksgiving get away very special and memorable! Oh it sounds like you all had a much needed and wonderful trip! Thanks for choosing to spend it with us. We look forward to having you vacation with us again. Great! Thank you so much for staying with us! Come back and see us again soon! I would highly recommend Whispering Pines Condos. We have stayed in 2 different condos and was very pleased. My only complaint is the furniture in the living area could be more comfortable for our family, but it's a really nice clean condo! Wonderful sweet staff, with great amenities! We like to take advantage of the free tickets offered, as well as some of the other discounts. Thank you so much for your wonderful feedback and high recommendations for Whispering Pines condo 101. We will pass your recommendations for upgrades to the condo owner, they welcome your suggestions. Your kind comments regarding our staff is so kind and appreciated. We are so pleased that you were able to take advantage of the Free tickets with our Entertainment Rewards Pass. Thanks for the great review and we look forward to your next visit. We really enjoyed it we stay st Whrispering Pines once or twice a year. We appreciate your patronage, review, and comments; glad you had a great vacation. We look forward to your return. It was a wonderful, family friendly place to stay. Very clean. Close to everything. Overall we had a great time. Amazing! We are so glad that you enjoyed your experience with us at Whispering Pines Resort. Thank you for your wonderful review. We welcome you back to stay with us again soon. The condo was clean, quiet, comfortable, and good location. I would definitely rent again. Wonderful! Happy to hear you had a good vacation with us and found the condo to be clean and comfortable. We hope to have you stay with us again soon! This was a weekend get a way for me and my husband. He has fallen in love with the condos at Whispering Pines. Never been disappointed! Wonderful! We are so excited to hear that you and your husband had a wonderful weekend getaway with us at Whispering Pines. Thank you so much for your wonderful review and we hope to see you again soon. We love this place. Have stayed here at least 6 times if not more. Thank you so much for being a loyal guest with us at Whispering Pines. We appreciate your wonderful review and look forward to your next visit. This is the second time we have stayed in this exact condo. Loved it more than the first time. Staff is friendly and the condo was just perfect for our small family. The property was clean and the indoor pool was also clean. Will stay here again! Thank you so much for spending time with us! We are happy you enjoyed staying with us! Come back anytime! The space was clean, and comfortable. The location was perfect to access all of the shows, shops, and restaurants. Ms. Linnell in the reception office was extremely professional and courteous. We are so happy that you enjoyed your weekend getaway in condo 101. Thank you for your wonderful comments regarding our staff and our resort. We welcome you to stay with us again when visiting our beautiful area. Loved the location. The condo is nicely decorated. The only problem was that the sleeper sofa is very uncomfortable. My granddaughter was with us and had to sleep on it. The thin mattress allowed the springs to feel awful against her back. We put all the extra cover in the condo on the mattress to try to pad it where she could sleep. I doubt the owners have ever slept on it. But it needs to be replaced. Otherwise I would stay there again for only me and my husband. It should be advertised as "sleeps two in one queen bed." Thank you so much for staying with us and for the feedback. We will definitely pass this information on to the owner! Glad you enjoyed the location and the condo otherwise! We hope you will chose us as your home away from home in the future. My wife & I like to come to the Smokey Mountains at Thanksgiving. We had good accommodations in a great location. Thank you so much for staying with us! We appreciate you and we are glad you enjoyed your stay! Come back anytime! Thank you! That is what a vacation should be. Hope to see you again soon. Excellent location, clean, well managed, good place to stay. We are glad that we met your expectations and hope you will visit us again at Whispering Pines Condos in Pigeon Forge, TN. "Great place to stay" is a powerful statement. Thank you. Very relaxing atmosphere. We love the condo and will definitely use it again. We appreciate your excellent review and visit to Whispering Pines Condos in Pigeon Forge, TN and that you will visit us again. the units and grounds are well kept. Great! Glad they enjoyed staying with us and thank you for all the kind words! Hope they enjoyed their time in Tennessee! Glad to hear that you had a great experience with us. We hope that you will visit us again soon! We had a great vacation. The condo was exactly what we needed at this time. The location was great and the rental was very nice to use. We are glad that you had an enjoyable vacation with us at Whispering Pines Condos in Pigeon Forge, TN. We look forward to your return visits and we know that you are, too. Thank you for your excellent review! condos. This condo was very nice & clean. each night from the deck over @ Dollywood. Thank you for all your kind comments regarding your stay. We are so glad you all enjoyed your time with us and we look forward to having you back on your next trip to Pigeon Forge. Also, we do have a few rooms with grab bars so next time you book with us, give us a call and we will check to see if one of those are available for your dates. Very good. Relaxing and quiet. We are so pleased to hear that you had a relaxing & quiet time while visiting Whispering Pines. We hope to see you again soon! The condo was beautiful, comfortable, well maintained, and all we neededfor a wonderful trip. Thank you for choosing Whispering Pines for your recent stay in Pigeon Forge. We are very pleased that you enjoyed condo 101 and found it to be clean, comfortable and just want you needed for a wonderful trip away. Thank you for your review and we hope that you can visit us again. An excellent place to enjoy your vacation. Have stayed here many years, never incurred any problems. Thank you for your patronage for these past years! We appreciate your excellent review. Unit was as described and very nice. Condo complex was very clean and quiet. Customer service was excellent. 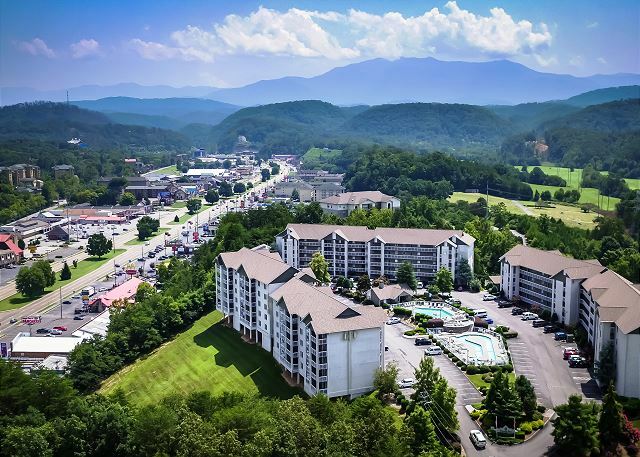 Great location and was very convenient to all of the activities of not only Pigeon Forge, but all of the surrounding areas as well. Thank you so much for taking the time to review us and ost of all- Thank You for staying with us! Whispering Pines! It's great to hear you enjoyed the condo and especially the balcony. Thank you for choosing to stay with us in Pigeon Forge and we look forward to having you return in the future. WOW! Thank you for your great review. We are looking forward to your return visits to Whispering Pines Condos in Pigeon Forge, Tennessee. It was very charming and quite but convenient to everything. Would definitely stay again. My family really enjoyed it. It was very nice, we arrived and everything was ready to go. Weather was beautiful, saw a great show at Country Tonite,all in all a short but good vacation. We are already planning to return in the fall. Thank you for your nice review. We are pleased to hear you enjoyed your experience at Whispering Pines. We appreciate your business and look forward to seeing you in the Fall! We have stayed in this unit twice and like it very much. It is clean and nicely decorated. The kitchen is well stocked for dining in if you choose. The balcony has a nice table/chairs and a swing. It is easy to get in and out of the complex even during very busy times. The only problem is getting in and out of the jacuzzi tub. The shower is also in the tub and if you are short, it is difficult to get in and out and there is no grab bar. It appears that could be remedied if the owners chose to do so. Otherwise, everything is very nice. 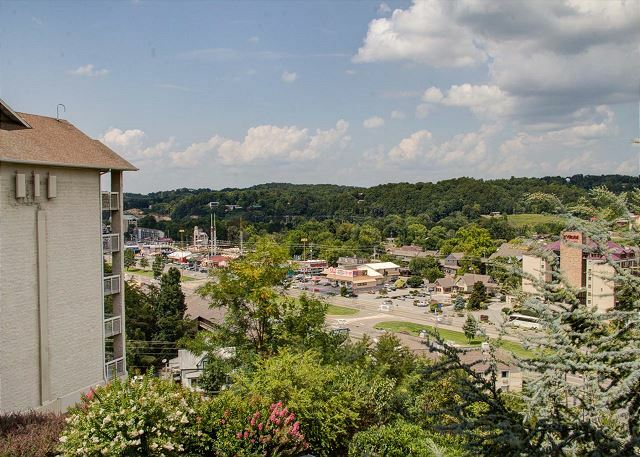 Thank you for vacationing with us at Whispering Pines Condos unit 101 in Pigeon Forge, TN, and submitting your review. Our apologies for the lack of grab bars in the bathroom. It is the Owner's call as to whether to install or not. We always love staying here at Whispering Pines, the only problem we had this time was that there were ants in the bathtub...this was a nice condo, but we like 211 the best and we will stay again at Whispering Pines.. Thank you so much for being a loyal guest with us at Whispering Pines. We are sorry to hear that you had an issue with ants during your recent stay. Please always let the front desk know if you have an issue so we can resolve it in a prompt manner. We take condo requests when making reservations so please let us know your favorite condo when making your next reservation. We hope to see you again soon. Everything was great. The room was very clean and comfortable. Great location. We would stay again. We are so happy to hear you enjoyed your stay with us at Whispering Pines. We have a terrific housekeeping staff and they will be glad to hear you found the room to be clean and comfortable. Thank you for staying with us and we hope you are able to make a return trip soon! The condo was very nice and comfortable. One thing that I think that is needed for the bathtub is handicapped bars to hold on to. The tub is so wide that if someone has knee problems or back problems it is hard to get out of. You really need something to hold on to. Other than that, it was a very nice place to stay It does need some painting. We are so happy to hear you enjoyed your stay at Whispering Pines! I will pass your suggestion about the handle bars to the owner so they can consider putting those in their condo. Thank you for staying with us and for telling us about your stay. We hope to see you in the future! 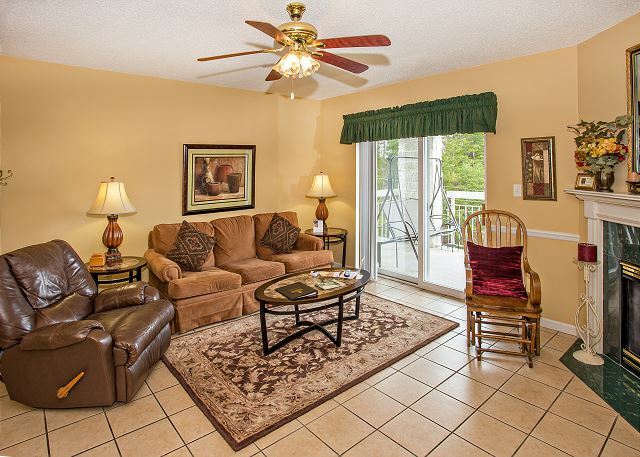 We recently had the opportunity to stay at one of your condos on a short get away. Our church had given us a 2night/3day getaway at a different resort earlier in the week and we extended our stay for a couple of more days and needed a place to relax and stay for the remainder of our time there. We love the Smokies and take several trips, we are only 3 hours away, a year. This was our first time staying at Whispering Pines and we were extremely pleased with our accommodations and especially the new mobile app that kept us to date with our rental. We will be back again to Whispering Pines in the near future. We are happy you found us! The app is a new feature and we love to hear you found it useful during your stay. If you have any suggestions please let us know! Thank you for staying with us and for taking the time to tell us about your stay! We look forward to a future visit! We have stayed at Whispering Pines many years and would not consider anywhere else. The service, views and staff are all excellent. We appreciate you very much for being a loyal repeat guest at Whispering Pines. Thank you so much for your kind comments regarding the staff and our amazing views . We appreciate you and hope to see you again soon. Wonderful stay at Whispering Pines in Pigeon Forge. This was our second stay at Whispering Pines and we were not disappointed in any way. WP 101 is a one bedroom that is on the first floor (no steps - park right in front on the unit!) but, as it is on a hill, the view was still excellent. Furnishing were very comfortable and well cared for. Loved the location - about a block from the Parkway and very near the outdoor pool and lazy river, which was still open and nice and warm in mid September. We will definitely stay again. Thank you so much for your wonderful review of your stay at Whispering Pines. We are pleased to here that you enjoyed the wonderful view in condo 101 and also found it to be easy accessible and very comfortable. We appreciate you and hope to see you again soon. The condo was very roomy and was located in a great location. Would stay here again! We are go glad you enjoyed your stay at Whispering Pines! We look forward to having you visit with us again! Glad you and your family were able to meet and enjoy a vacation together-thanks for letting us be a part of that! Thank you for bringing the landscaping by the Indoor Pool complex to our attention, we have contacted the HOA to look into that and hopefully find a remedy. We appreciate you letting us know!